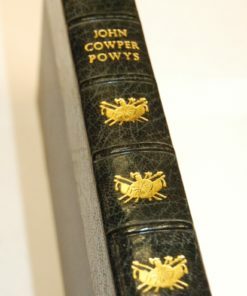 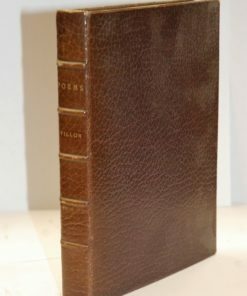 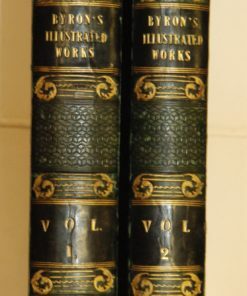 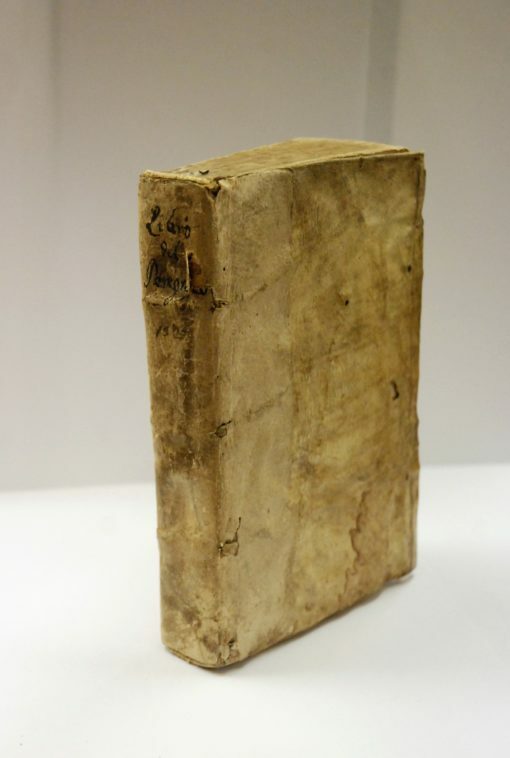 8vo., contemporary soft vellum binding with contemporary handwritten labeling to spine, [ff. 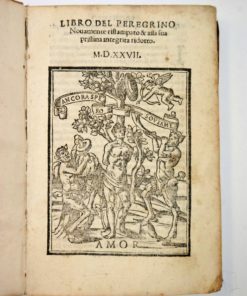 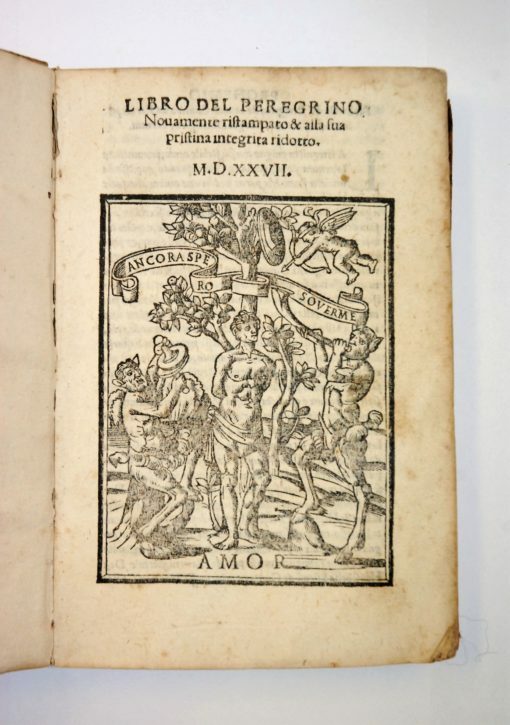 232 + 1 blank], title page with wood engraving depicting a man against a tree between two satyrs and a blindfolded cupid aiming his arrow down at him, three more wood engravings at the beginning of each of the three sections (libri) into which the Libro del peregrino is divided. 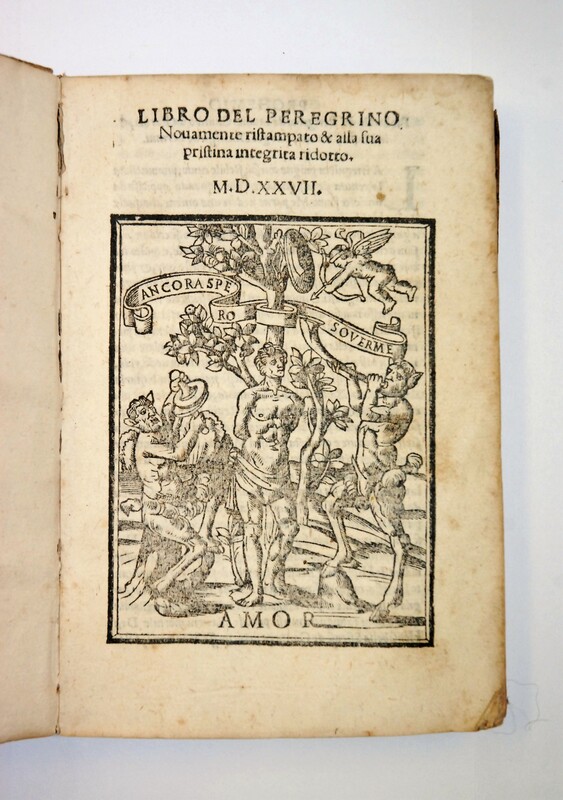 This is followed by a ‘Vita de Iacobo Caviceo’ by Georgio Anselmo. 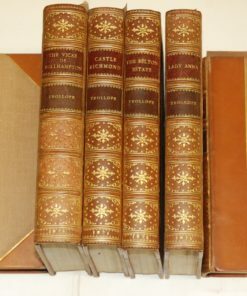 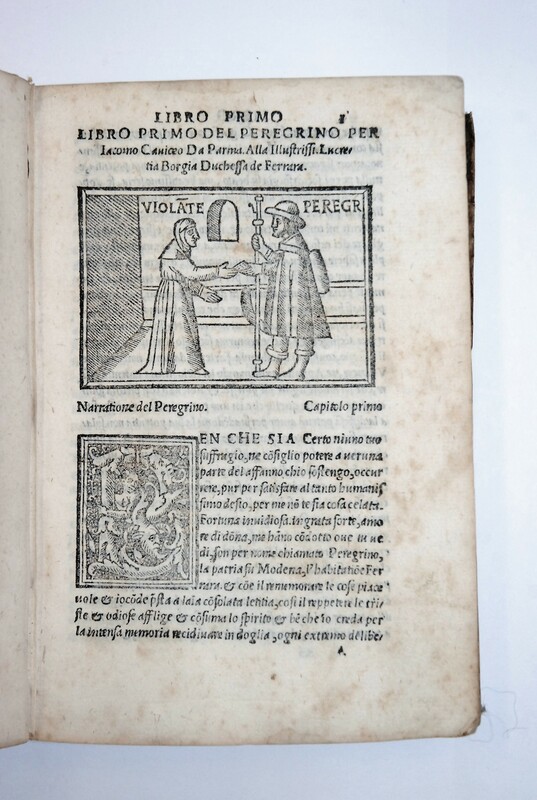 The main text is dedicated to Lucrezia Borgia, Duchess of Ferrara. 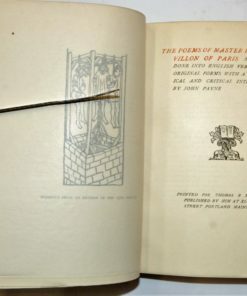 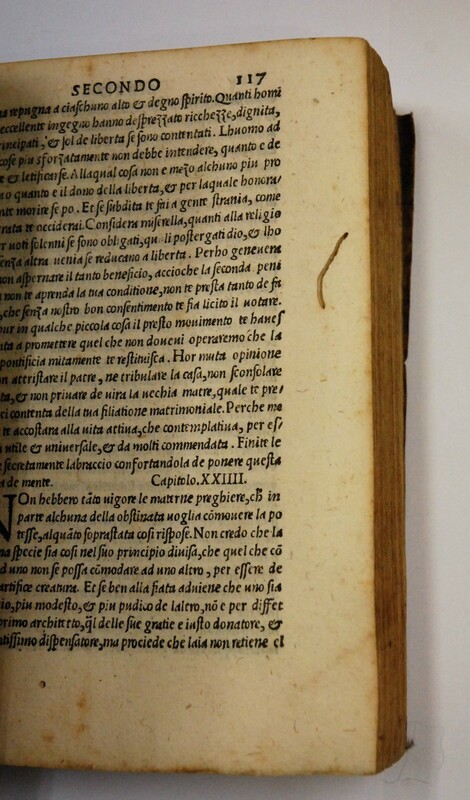 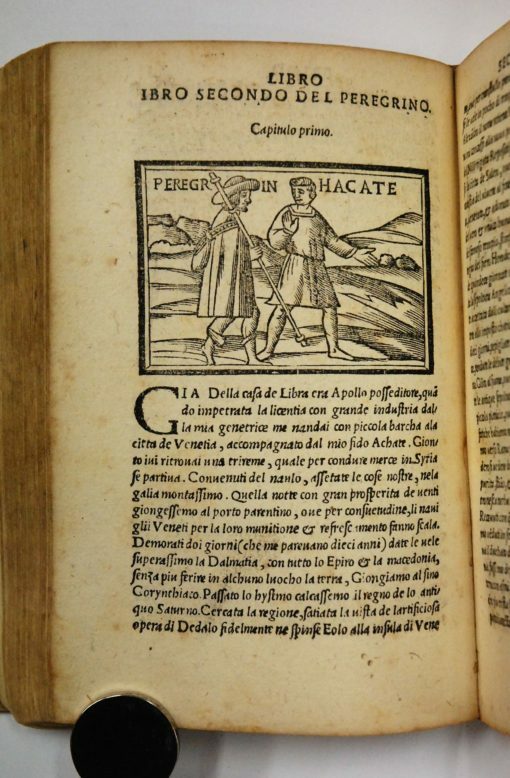 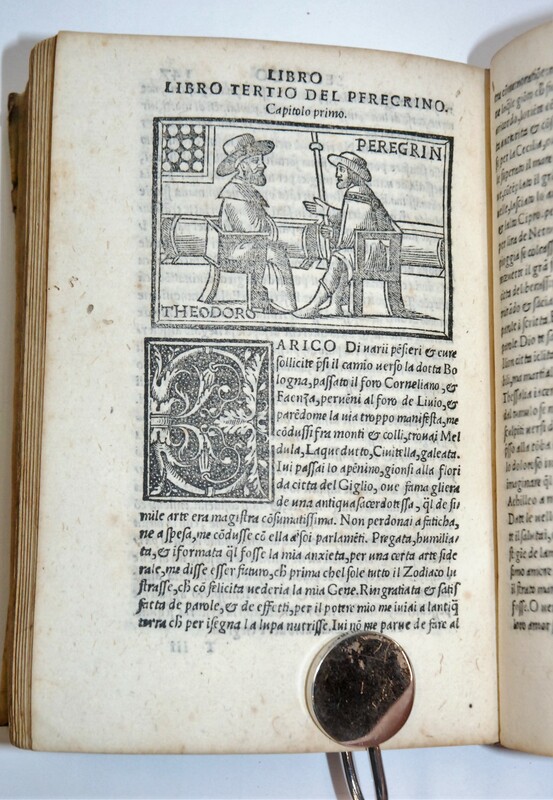 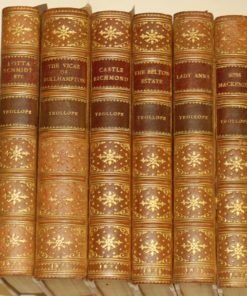 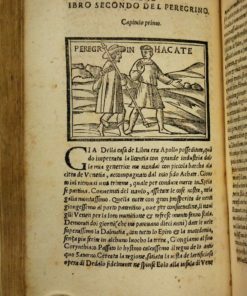 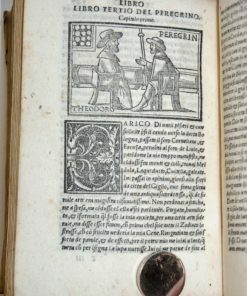 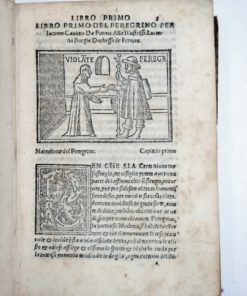 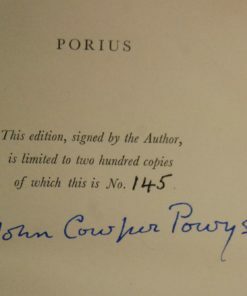 A rare edition of this work of prose fiction first published in Parma in 1508. 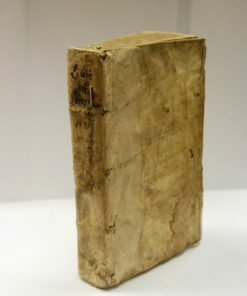 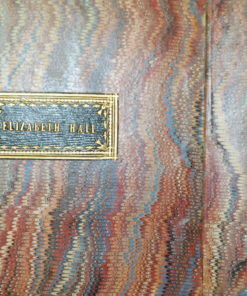 Binding marked and rubbed, some worming to margins, pages browned and slightly foxed. 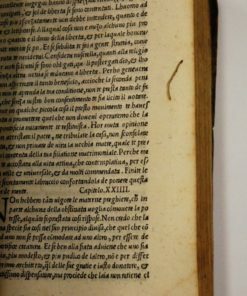 Text in Italian.